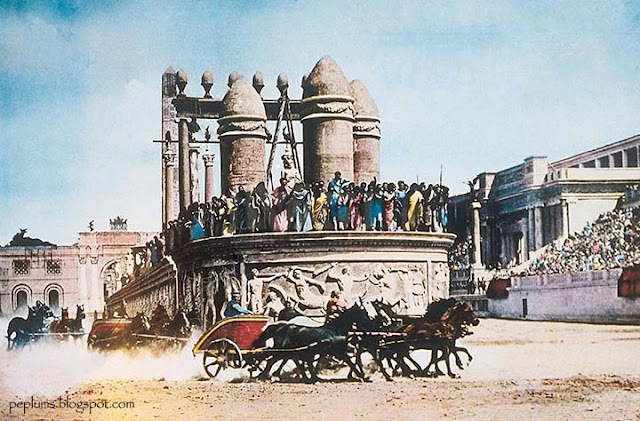 This image is from a lobby card for NERO & THE BURNING OF ROME but the chariot race is from MESSALINA (1924). I need to see this rare film to confirm. Aren't those columns somewhat lurid? One wonders who designed the set and why or how the director was able to get the picture shown past the censors.